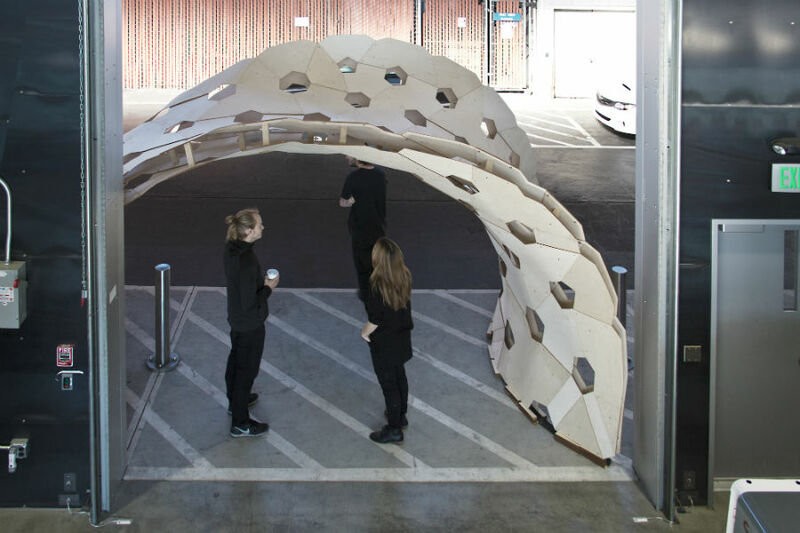 As part of ongoing research on Bending-Active structures conducted at the Institute of Building Structures and Structural Design (ITKE) of the University of Stuttgart, the Bend9 pavilion further explores the potential of engineering systems that use bending as a shape-forming strategy. 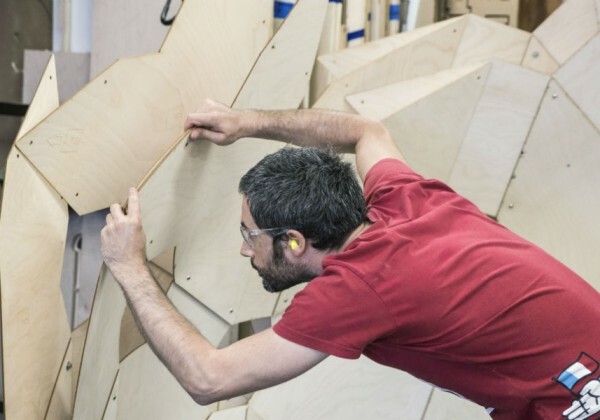 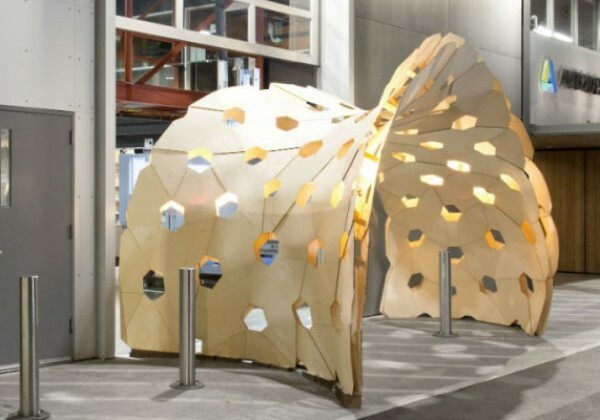 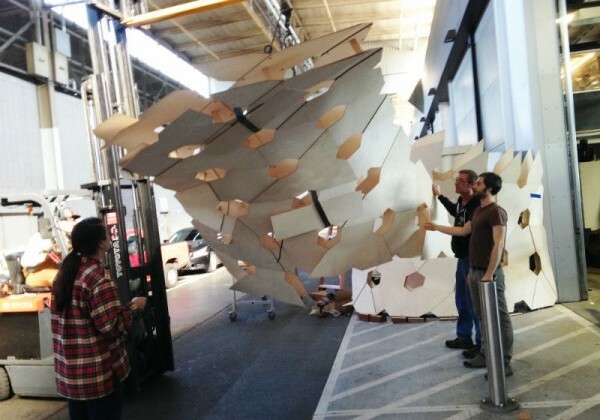 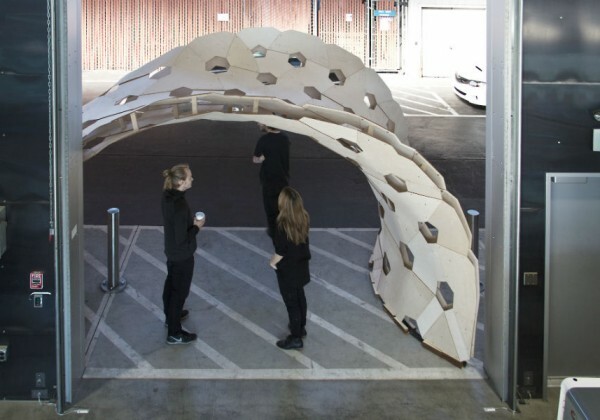 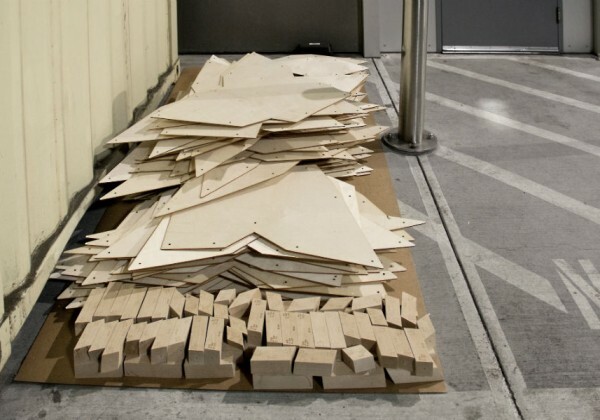 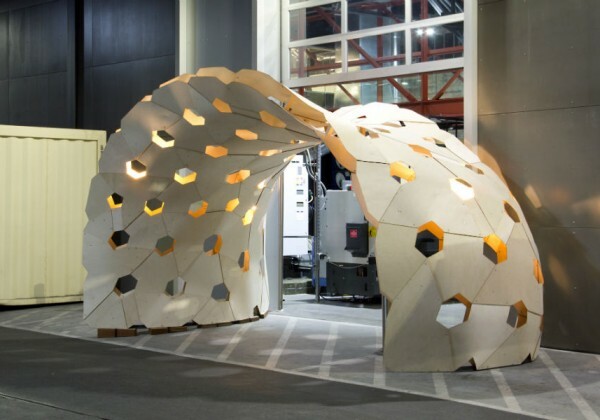 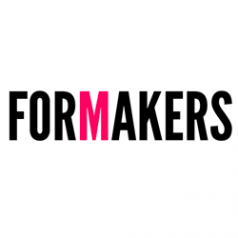 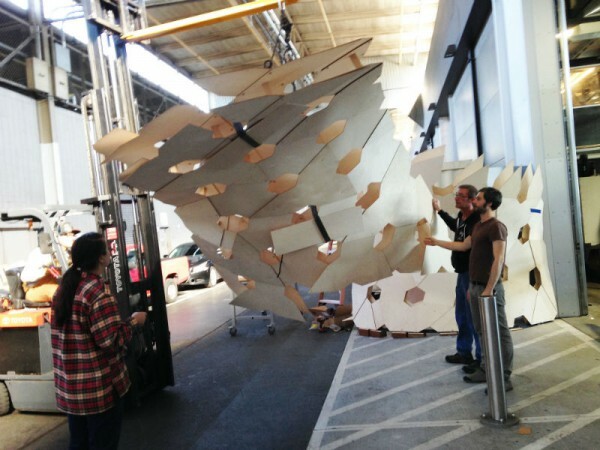 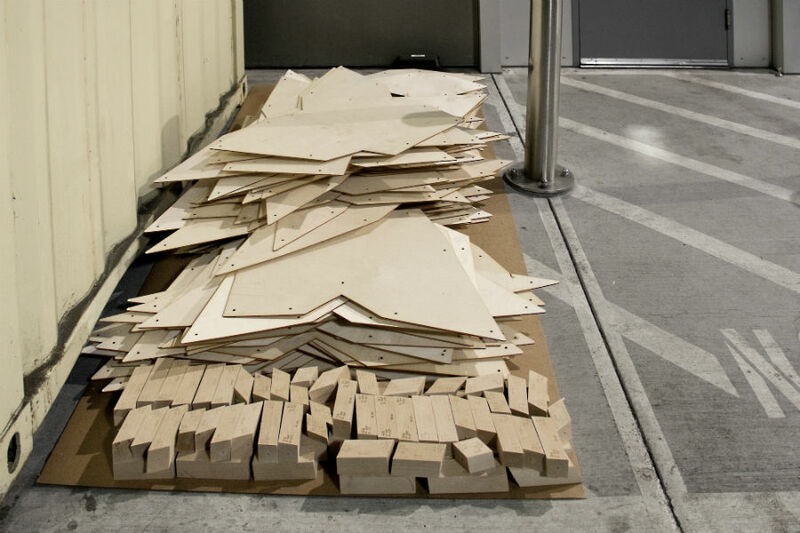 Developed by ITKE engineer and researcher Riccardo La Magna during the residency period at Autodesk’s Pier 9, the pavilion focuses on intelligent material usage for the construction of complex freeform surfaces. 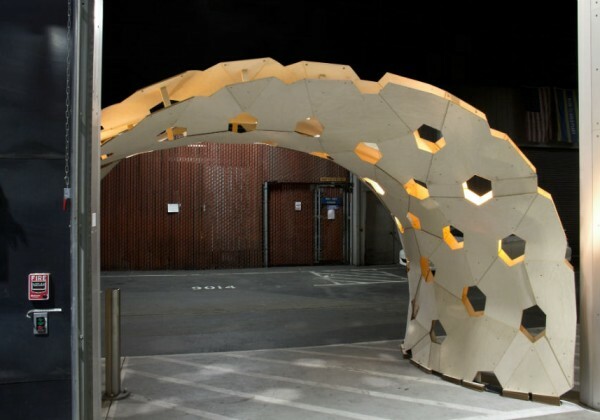 The project specifically engages with the challenges of building load-bearing shell structures, arbitrary in shape and geometry, by simply exploiting the properties of bending. 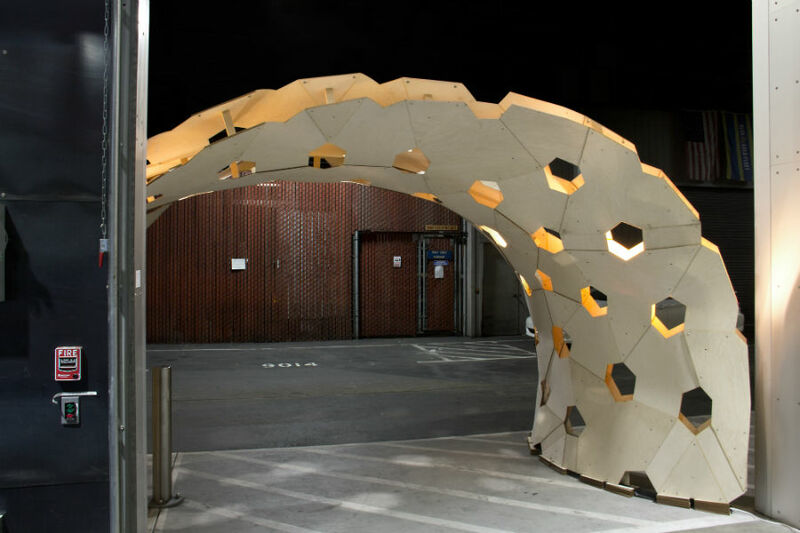 Bend9 presents an alternative construction approach which departs from traditional building systems. Instead of using preformed elements, the pavilion takes advantage of the deformation qualities of planar sheets of material to achieve its global shape. 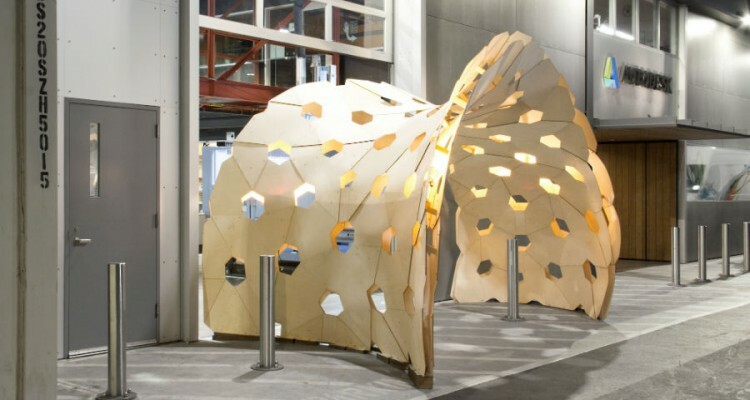 The construction logic is directly informed by the mechanical features of the plywood employed for the project. 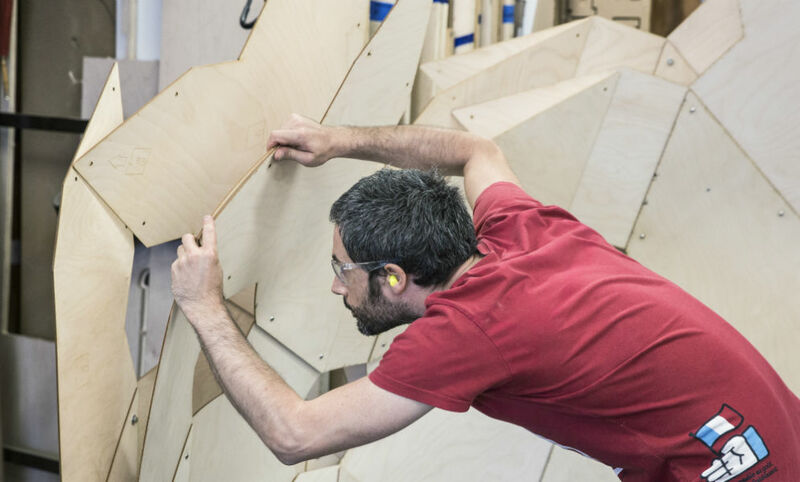 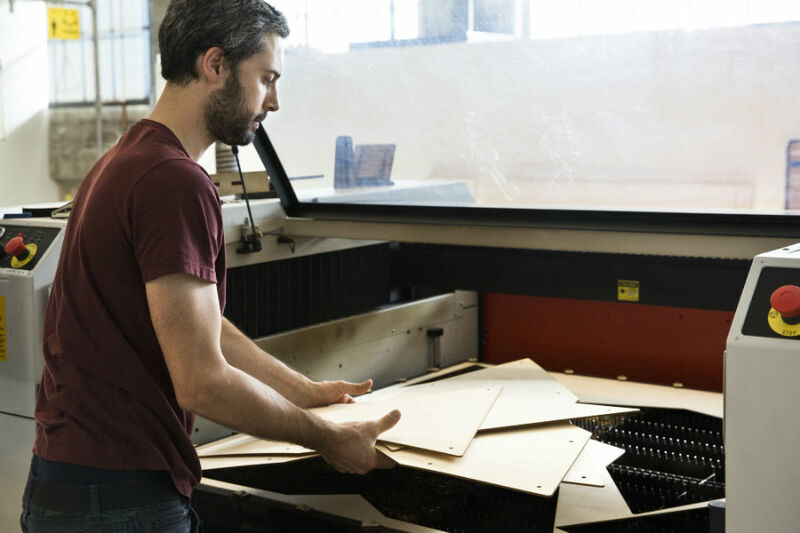 The overall geometry is therefore the result of an accurate negotiation between the mechanical limits of the material and its deformation capabilities.